Ysgol Gynradd Pentreuchaf has stood in its current location since 1908. It is attended by approximately 110 pupils. 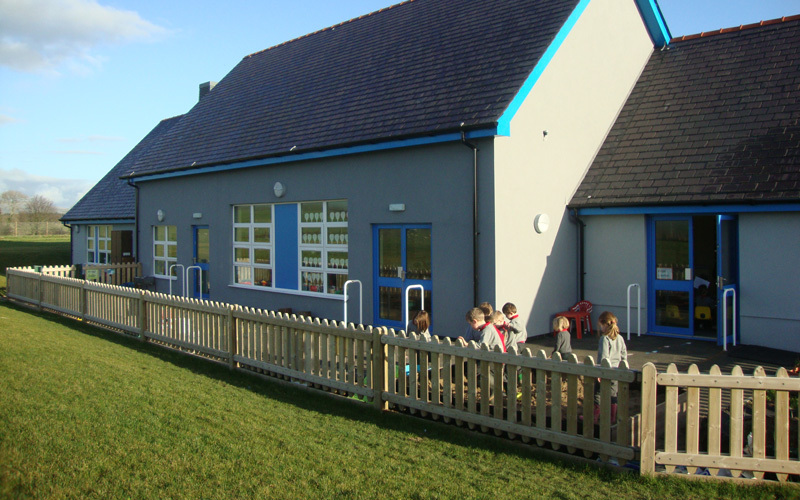 The School was extended to create a nursery/reception class in 2003. 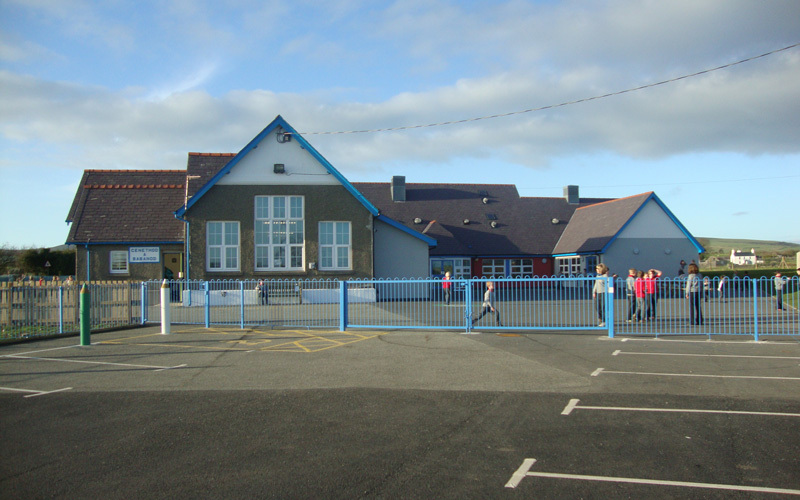 In 2008, the School was highlighted as a modernising scheme, as part of the Welsh Governement School Building Improvements Grant with a contribution from Gwynedd Council Education Department. Demolishing 3 existing classrooms and adjoining rooms. Constructing 3 new classrooms, a library and toilets. Re-vamping the Hall and the existing Kitchen. A new storeroom for the Hall’s facilities. A new external storeroom for the outdoor exercise equipment. External work to expand the School yard and to improve the ecology to BREEAM standards. Installing solar panels and wind catchers as part of a renewable strategy. Install broad windows to contribute to the natural airing and the daylight strategy. A decision was made to combine the new extension with the existing Victorian structure by bringing modern ideation to the new development. A traditional method was used to construct the extension through using blocks for the walls to get an external finish of smooth render, and a Welsh slate roof to match the existing building. A traditional JCT contract was used with the Derwen Llyn Cyf. contractor. The following consultants contributed to the work: YGC (Architects), Advent (Quantity Surveyors), Davies Partnership (Mechanical and Electrical Engineers), Evans Wolfenden Partnership (Structural Engineer), Adolladol Cyf (CDM Co-ordinator). 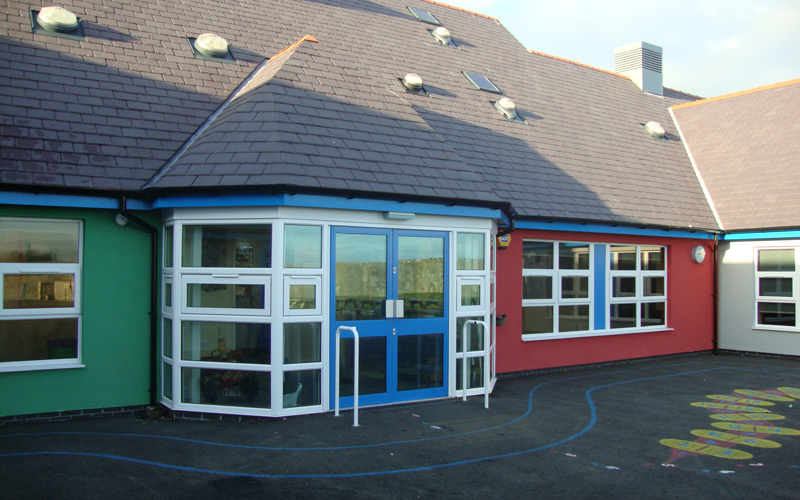 The external colours have been carefully selected to complement the existing building, but with bright colours to main areas in order to appeal to the children. The new classrooms also have a new water sprinkler system. The work programme had to be carefully considered to maintain the Health and Safety of the staff, the pupils and any visitors, as the work was being undertaken while the School was in use. The work was completed within the timescale, the budget and the desired quality standard. The new extension was opened to teachers and pupils in October 2010.